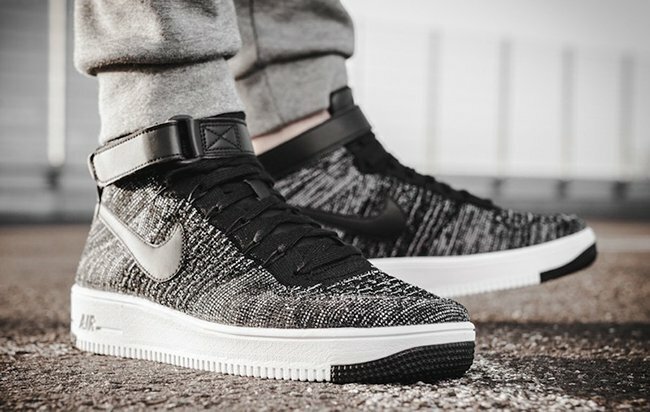 Another Oreo Flyknit Air Force 1 is starting to land at Nike Sportswear retailers during the Winter season. 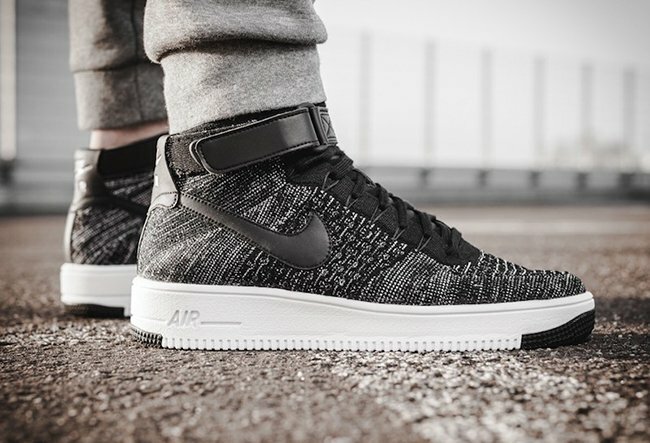 Here we have the latest Nike Air Force 1 Ultra Flyknit Mid ‘Oreo’ release. Keeping things clean and simple, this Nike Flyknit Air Force 1 Ultra features a Black and White color theme. Across the uppers is a mixture of the two shades while crafted with Flyknit. 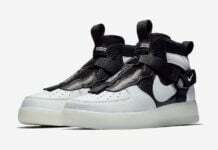 Black leather lands on the Nike Swoosh and heel tab. Completing the look is White across the midsole with hints of Black on the outsole. 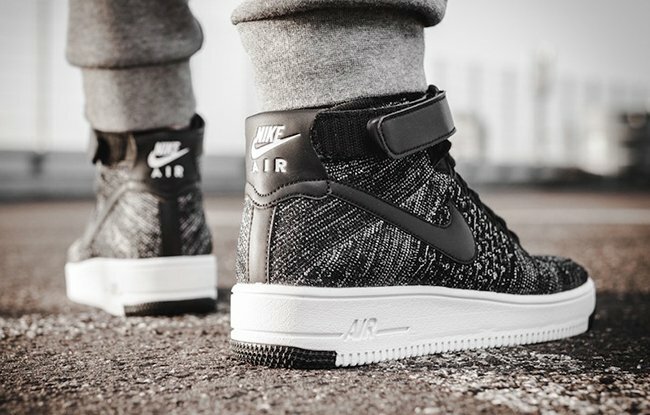 Continue to scroll below to check out more images of the Nike Air Force 1 Ultra Flyknit Mid Oreo which will showcase to you how they look on feet. 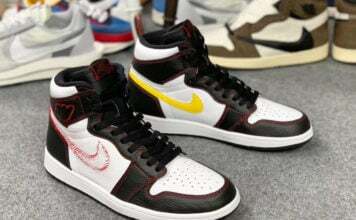 For those interested in purchasing, they are now arriving at select Nike Sportswear retailers overseas like Afew. 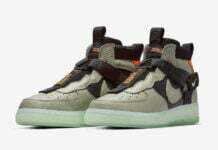 Retail price is set at €149.95 which comes out to be about $157 USD. Currently only a handful of sizes are still available.